Home BIMBY AQUINO YAP DATING AND RELATIONSHIPS HERBERT BAUTISTA HOLIDAYS KRIS AQUINO Kris Aquino EDSA Anniv. Confession: "I said YES to Herbert's marriage proposal"
Kris Aquino EDSA Anniv. Confession: "I said YES to Herbert's marriage proposal"
Kris Aquino knows very well the EDSA spirit, the spirit of freedom and love that the Filipino people displayed during the 1986 EDSA People Power Revolution which led to her mother, the late Cory Aquino, taking over the Philippine Presidency from Ferdinand Marcos. And so, on the day before February 25 - the 29th Anniversary of the EDSA People Power Revolution, Kris Aquino has opened the door to freedom by letting go of her bitter past with Quezon City Mayor Herbert Bautista (though she never mentioned his name in her post). 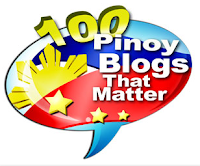 Kris posted a blog entry Tuesday, February 24, revealing the true state of her heart at this very moment, recalling her happy to sad moments with Mayor Herbert. "From my perspective, it has never been RECALLING the fights, the breakup, the disappointment over avoidable interviews that made me cry. It was remembering the happy moments that were so fleeting, but so special because they were so "normal". He brought me a cheeseburger w/ no onions, fries, and a small Coke on my birthday last year. I&#39;ve never had that meal again from that fast food because I&#39;m now with the opposing Pinoy Food Giant (takot mag violate ng contract) and partly because it will just never taste the same again. We watched the midnight screening of Divergent and I&#39;ve never gone back to the cinema where we watched. He sent me a lot of Gatorade, boxes of it, and I&#39;ve never had the sports drink again. We went to 2 Starbucks with drive through windows, and I&#39;ve also never gone back to those places. We spoke of building a life together, actually set a time frame, in this restaurant in Greenbelt that I frequented because of their steaks and burgers, but I&#39;ve also never eaten there again. I cut off more than 18 inches of my hair because I wanted to forget how I must have looked with hair all over my face &amp; pillow, when he used to surprise me by waking me up and bringing me my venti nonfat latte with no foam, just because his day would be so hectic and early morning was the only time he could see me, regardless of my still being fast asleep." And then Kris made a big revelation that on April 1, 2014, Mayor Herbert Bautista made a &quot;weird&quot; marriage proposal to her and she said YES. &quot;This is the first time i&#39;ll publicly acknowledge this, because I can now recall with absolutely no bitterness or regrets; on the first Friday of April nearly a year ago during merienda, he said he was tired, he didn&#39;t want to play games, he was tired of chasing and of running away, and he wanted to feel secure with someone he could grow old with. He said, walang romance, walang lokohan, walang bolahan. Okay na raw ba ko to marry him kasi nga PAGOD na sya? I remember laughing and saying that was probably the least romantic proposal any woman has ever received, but because we were so similar in our weirdness, I was in agreement; I wanted to grow old with him because I knew we&#39;d never be bored conversing, and maybe this was where God led 2 individuals who deserved a chance at life long companionship with maturity, and full acceptance of equally colorful pasts." Kris further shared that she and Herbert broke up on April 18, a day before Bimby&#39;s birthday. She admitted she was fragile, and THAT failed relationship with Mayor Herbert taught her to be humble, that for a man not ready to commit, she will never be enough. Awww. I can feel the sadness in her, the want of finding the right man for her, especially when she said these: "<i>I still pray for someone who can be my strength. I still pray for someone to talk to at the end of a long day, someone who will listen, and someone who will also teach me new things, challenging my mind, and mirroring my values. Someone to pray with and pray for. Someone I can trust with all my fears, someone who accepts my past, and still looks forward to our future. And someone who won't be tired about love, but will accept, nurture, and treasure what we will share</i>." 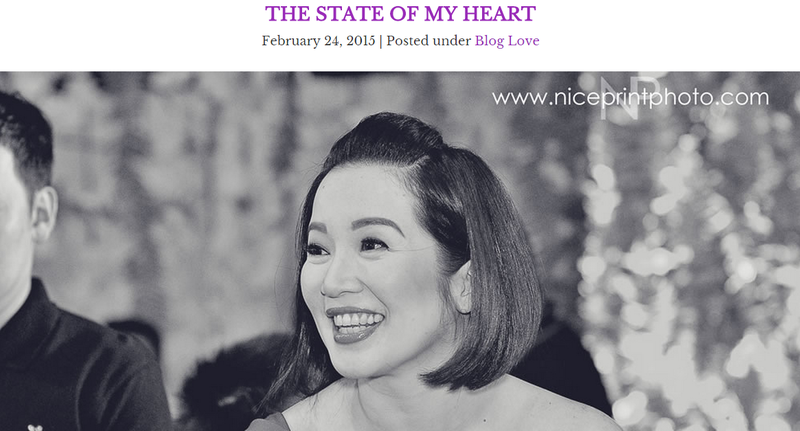 You can find Kris Aquino's whole confession in her blog entry entitled HE STATE OF MY HEART.